Monday night at 20:00, Watford receives Arsenal’s visit in the last match of the 34th Premier League. In the history of the direct duels of the first league, the “tuners” have a logical advantage over the “wasps”, with 10 wins and only two failures. At the moment, both teams are fighting for a place in European Cups next season: Arsenal in UCL and Watford in UEL. Watford is fighting for 7th with Wolverhampton and Leicester, but the inconsistency shown by Javi Gracia’s band makes us keep our bets on the final result. Watford is an abil team that can pose great problems to Arsenal, but we notice that the band on Vicarage Road has real difficulties in the grandez stage. With just five defeats in the last 19 official games, Watford has always leapt to top clubs like Manchester United, Manchester City, Liverpool or Chelsea. This time, the “wasps” will bravely approach the derby with the “tuners”, as the hosts have just qualified in the English Cup finals. Watford had good luck in the Wolverhampton semi-final, with Javi Gracia’s band being led 0-2 in half an hour. 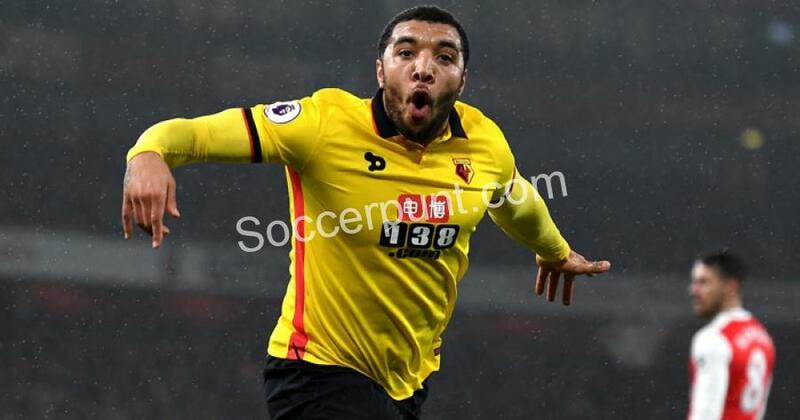 Coming in as a reserve, Deulofeu reappeared Watford’s hopes with a goal scored to the final of the game, and Deeney sent the game to overtime after making a controversial penalty at the last stage! Against the background of psychological advantage, Watford earned the qualification after Deulofeu’s goal, which elegantly finished a counterattack of the Londoners. Even if the “wasps” are a team with high-quality players, the style that Javi Gracia is based on uses the long balls, a chapter where Arsenal is vulnerable. From 5th place (golaver 65-40), the “tuners” face the 10th place (golaver 47-47). We note that in 11 of the last 12 direct duels we scored at least 3 goals each time! Exception makes the tournament, winning with great difficulty Arsenal, score 2-0. This direct duel has not yet ended in equality since 1984, that is to say 20 games in a row. On Monday evening Unai Emery will not have Bellerin, Holding and Xhaka, while the host coach does not know if he can rely on the mistakes Cleverley, Okaka, Janmaat and Success. There are a few figures that indicate the balance here: Arsenal has only 5 wins in 15 championship tours this season, while Watford has only lost 5 times on its own. The most logical bets on this match are those on both sides and corners, because we’re talking about offensive pockets, but also about defensive bets that can easily empty. In fact, the “GG” bet was won in the last 6 consecutive matches of Watford, who defeated Fulham (4-1) and Crystal Palace (2-1), but succumbed to Man. United (1-2) and City (1-3). Arsenal comes after a failure in the championship, 0-1 with Everton, but has won 4 of the previous 5 stages. In the middle of the week, white-and-reds were imposed against Napoli (1-0) in the Europa League.